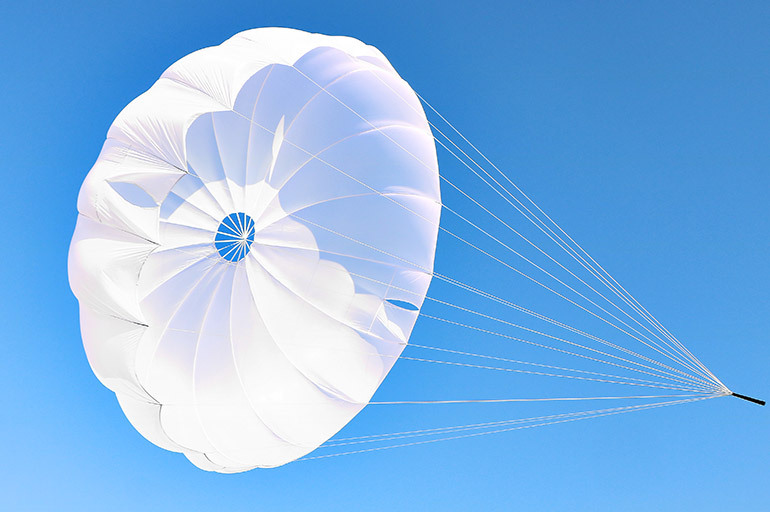 Developed by GIN, it’s an evolution of our One-G, one of the best-selling rescue parachutes of all time. Compared to the One-G, the G-Lite offers greater stability and a reduction in weight whilst remaining reliable and cost-effective. 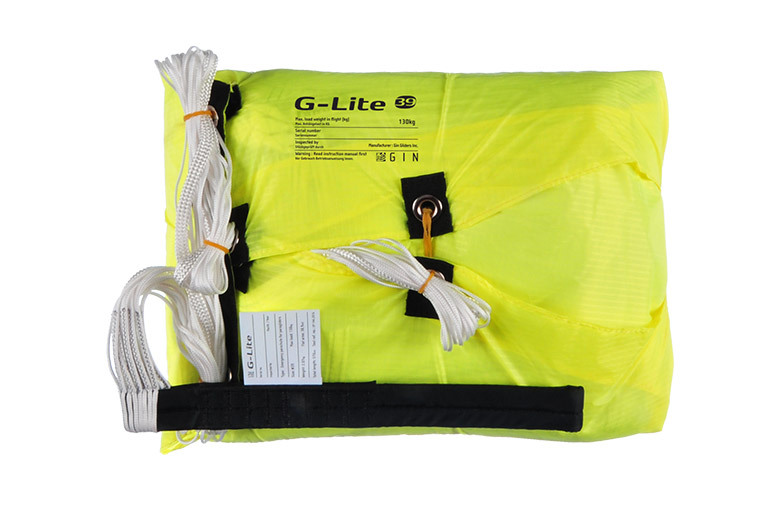 The G-Lite is significantly lighter than the comparable size of One-G. Due to improved gore shape generated by 3D design, we could reduce the rescue size without compromising safety and a sink rate. 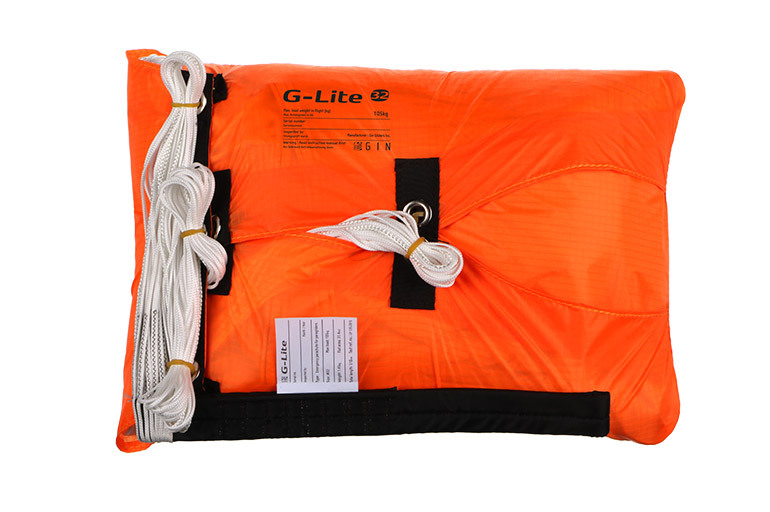 The G-lite’s design offers excellent sink rate and stability. This has enabled us to both increase the maximum weight and reduce the surface area. The size 32 is certified to a maximum load of 105kg with a sink rate of 5.0m/s. Pilots flying below the maximum load will have a lower sink rate than this. The G-Lite is certified EN and LTF to the EN 12491 and LTF 91⁄09 standards.